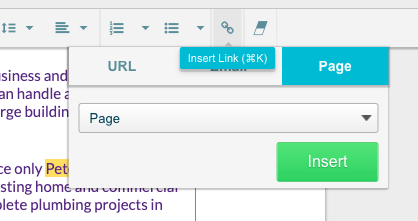 All of your proposal sections appear in the sidebar in client previews, making it easy for your client to see what's included and click on that section to view it directly. 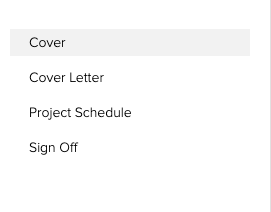 But, there isn't a way to automatically generate a table of contents. If you still want a table of contents on the page, you can manually type it out with the page number and hyperlink text to other sections. To do this, simply highlight the text, click the link button and select "Page". Then choose the section you want to link to from the drop down.